It appears the 49ers brass has interest in two of the top prospects linked with the team in April’s draft. The 49ers will reportedly meet with former Ohio State defensive end Nick Bosa over dinner Wednesday night, according to Sports Illustrated’s Albert Breer. This is the third known time 49ers will meet with Bosa. They met Bosa for the first time at Ohio State’s Rose Bowl practice, and the sides reconvened at last month’s NFL Combine. Bosa has long been considered the top prospect in this year’s draft. He would bolster the EDGE position in San Francisco’s defense, alongside Dee Ford, who was acquired last week. The growing feeling is that the Arizona Cardinals will take former Oklahoma quarterback Kyler Murray with the No. 1 overall pick, leaving Bosa available for the 49ers with the No. 2 pick. 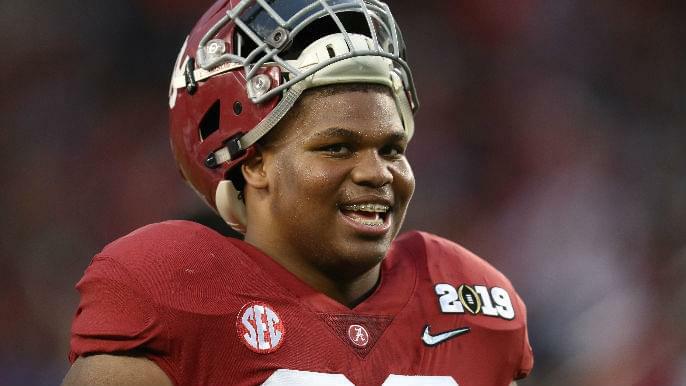 The 49ers also reportedly had dinner with Alabama defensive tackle Quinnen Williams prior to his pro day Tuesday, according to Ian Rapoport. Williams is the top defensive tackle prospect in the draft. Many scouts project him as a perennial Pro Bowler. The 49ers interior defensive line is already stacked, but pairing Williams alongside DeForest Buckner is apparently something the 49ers will consider.